Probiotics are in a position to provide a tremendous assistance towards the overall health of your digestive system. However, you need to be careful enough to stick to natural sources of probiotics, so that you will be able to experience all the benefits without any harmful side effects. 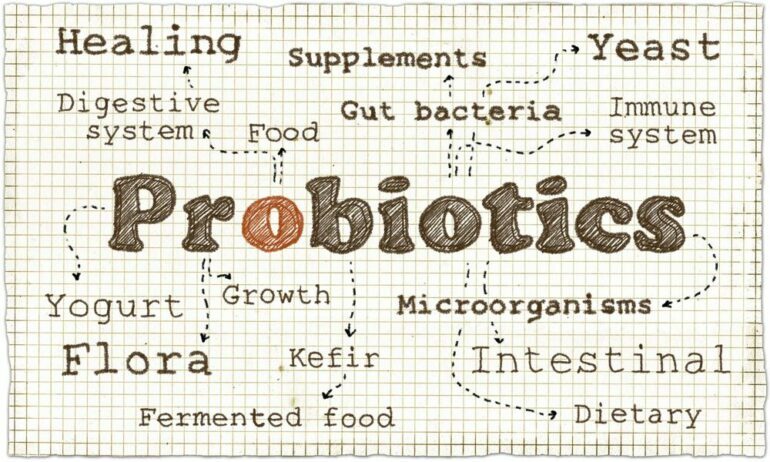 Here is a list of some of the most prominent natural sources of probiotics. If you want to ensure the wellbeing of your digestive system, you are encouraged to go ahead and consume these foods to ensure your natural probiotic intake. When you think about probiotics, yogurt is the first thing that comes into your mind. You will be able to find a large number of bacteria living inside yogurt. They are in a position to contribute towards your daily probiotic intake as well. During the preparation process of yogurt, manufacturers tend to go ahead and add bacteria into pasteurized milk. In some of the yogurt brands, you will be able to find a higher concentration of bacteria when compared to others. In fact, you will get around 20 billion bacteria for just one serving of eight ounces. Hence, it can be considered as one of the most prominent sources of probiotics for people. You might not have heard about Kefir, but it is another prominent natural source of probiotics. Kefir is a milky beverage, which is originated in Turkey and Russia. Some scientists argue that Kefir is a better provider of probiotics to the human body when compared to yogurt. This fact has been verified by a recent study conducted from American Journal of Diabetes as well. Hence, you can think about preparing delicious smoothies at the comfort of your home with the use of Kefir. If you are looking for a delicious snack to cater your probiotic intake, you will need to take a look at Sour Pickles. They can deliver an impressive concentration of probiotics for the people. When you are looking forward to purchase Sour Pickles, you are encouraged to go ahead and take a look at the different varieties available. For example, you can go ahead with pickle juice, which offers a rich concentration of electrolytes for the people in need. Apart from consuming Sour Pickles to cater the probiotic intake, you can also try out this excellent food to get rid of the frustration associated with muscle cramps. Tempeh is a food manufactured out of fermented soybeans. Therefore, individuals who want to get their probiotic intake catered can think about consuming Tempeh as well. Tempeh is made with the assistance of fermented soybeans. It has become a popular food option among vegetarians due to the high concentration of proteins offered. The excellent concentration of bacteria offered by Tempeh is in a position to provide a tremendous assistance towards the wellbeing of your digestive system in the long run. Therefore, any person who is concerned about maintaining the overall health of the digestive system with probiotics can consume Tempeh. Miso is another popular natural provider of probiotics. It is made out of fermented soybeans. Hence, people can consume Miso with peace of mind. Miso can be considered as one of the most popular cuisines among Asian people. The fermentation process of Miso is responsible for giving life to healthy bacteria. Scientific studies have also been conducted in order to figure out the health benefits associated with Miso. From these studies, it was identified that Miso offers over 160 different strains of probiotics for the consumers. Therefore, it is something that you must go ahead and add into your daily diet. Now you might wonder whether it is possible for you to find probiotics in bread. Yes, it is possible and Sourdough Bread can be considered as a perfect example to prove the above mentioned fact. Sourdough Bread is pretty much a tangy toast. It is made through sourdough starters. Lactobacillus can be considered as the most prominent ingredient that you will be able to find inside Sourdough Bread. It can cater your daily need of probiotics. Sauerkraut is a widely used side dish. People can also think about consuming Sauerkraut as a sausage. The best thing about Sauerkraut is that it is made with the assistance of fermented cabbage. Hence, people who are concerned about their health can go ahead and consume Sauerkraut without keeping any doubt in mind. However, Sauerkraut is not easy to find. You will not be able to find it in your local supermarket. Moreover, you need to keep in mind you must go ahead and purchase Sauerkraut that is not pasteurized. The pasteurization process has the ability to kill probiotics that can be found within Sauerkraut. Kombucha is a fizzy liquid, which offers a sweet taste too people. It has the ability to provide an excellent assistance to your probiotic intake as well. The most prominent aspect about Kombucha is that it contains bacteria named scoby. This bacteria can help you with getting your probiotic requirements catered. Kombucha is a lesser known source of probiotic among people who live out there in the world. However, you don’t need to think twice before you get your probiotic intake catered with the assistance of Kombucha. Kimchi is a sour and spicy food that you can consume. People who take in Kimchi on a regular basis don’t need to worry about the probiotic intake and digestive health. That’s because the food item has got the ability to cater your probiotic intake, which can help you with ensuring the overall health of the digestive system in the long run. From another study, the connection that exists in between Kimchi and immune system has also been identified. Therefore, Kimchi is a food item that you can consume in order to ensure your overall wellbeing.